Home › Australian Solar › Sydney Markets solar installation turned on. 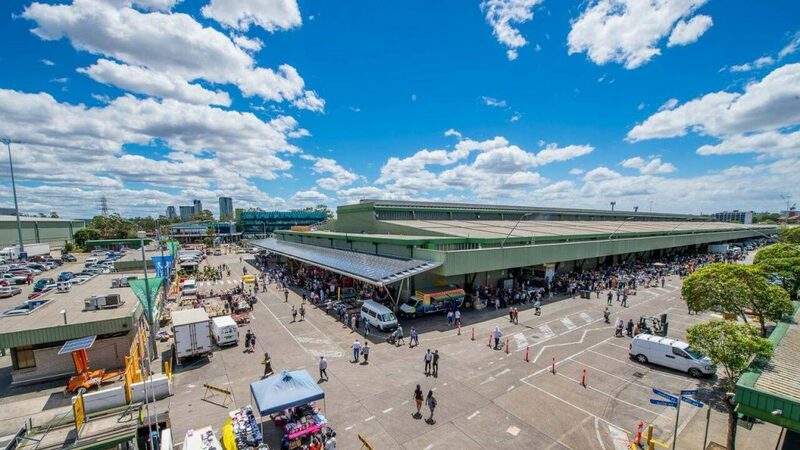 The Sydney Markets solar installation at their Flemington location has been turned on – the $8.9m solar system is Australia’s largest private solar rooftop installation and is expected to save the markets millions of dollars in electricity bills. According to Fairfax Media, the panels were installed by Autonomous Energy over a five month period and the 8,600 panels are able to generate more than 3MW – which is about 11% of Sydney Markets’ annual power usage. The markets are the largest food distribution centre in the Southern Hemisphere and turnover around $3b each year, so to see a company this big working on their sustainability is great. We’ve been examining solar panels for around five years, the financial models really stack up now,” Mr Latham told Fairfax Media. “It’s part of our strategic plan to be leaders in sustainability. This solar power system will enable us to generate sustainable energy, as well as drastically reduce our carbon footprint,” Mr Latham said. “Sydney Markets has additional roof capacity to more than triple the generation of this solar system,” Mr Pearson said. “We don’t think batteries are quite there yet, they are still a little ways off but it depends on the financial models,” Mr Latham said. Another step forward for Australian businesses installing solar systems! ← Australian Solar Subsidies under fire in 2018.